The team were called out to assist a walker who had suspected knee ligament damage. The 30-year-old walker from Colchester got into difficulties on Great Gable, near Kirk Fell. The team decided to use the Great North Air Ambulance (GNAA) to evacuate the casualty to West Cumberland Hospital as there was a suitably level area close to where the casualty lay (Beck Head). 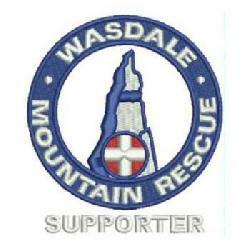 This was the first time the Wasdale Team had used the GNAA. The rescue went well with the helicopter being used to fly the Team’s doctor to the casualty site and then to fly a further two groups of two from the valley bottom up to the casualty site. Two team members also arrived on scene after climbing the fell direct. A total of seven team members were involved at Beck head with the remaining team members held back in reserve in the valley. The incident was closed at 1900 hrs. Incident started at 17:04 and ended at 19:00 making 1.9 hrs in total.